Catharsis is the emptying, cleansing, purging or evacuation of the bowels (intestines). A cathartic or purgative is an agent that causes catharsis and is more commonly known as a laxative (a cathartic taken to relieve constipation). Bulk cathartics stimulate evacuation of the bowel by increasing the bulk of the feces (stool). Examples include psyllium husk (the active ingredient in Metamucil®), methylcellulose (the active ingredient in Citrucel®) and dietary fiber such as wheat and oat bran. Lubricant or emollient cathartics soften the feces and reduce friction between the stool and the intestinal wall. Examples include mineral oil, docusate sodium (marketed as Surfak® and Colace®), and glycerin (as suppositories). Saline cathartics - Examples include magnesium citrate, magnesium sulfate, sodium sulfate, and magnesium hydroxide (Phillips Milk of Magnesia®. Stimulant cathartics cause wavelike muscular contractions around the intestines (peristalsis) that expel the contents. A common example used to be phenolphthalein, but this was banned for use as a laxative in 1997 because of the remote possibility that it was cancer-causing. A currently available example is bisacodyl (the active ingredient in Dulcolax®). Stimulants are much faster acting, harsher, and more likely to cause laxative dependency than the other types of laxatives. Combination agents work through one or more of the above mechanisms. Ensure your workers are trained with safety posters and more at Safety Emporium. "Poisoning and Toxicology Handbook, Fourth Edition", Hardcover, 1,384 pages, 2007. Estimated price $124.01. Info and/or order. "Poisoning & Drug Overdose, Seventh Ed", Paperback, 960 pages, 2017. Estimated price $38.55. Info and/or order. "Handbook of Small Animal Toxicology and Poisonings", Paperback, 512 pages, 2003. Estimated price $78.04. Info and/or order. "The Clinical Toxicology Laboratory: Contemporary Practice of Poisoning Evaluation, 2nd Edition", Paperback, 525 pages, 2013. Estimated price $124.00. Info and/or order . As a first aid measure to treat ingestion of the substance. Cathartics can decrease the absorption of substances in the gastrointestinal tract by accelerating the expulsion of the poison from the body. This may be a preferred method when the material involved is a caustic - for example, instead of inducing vomiting which would cause additional damage to the esophagus and throat. 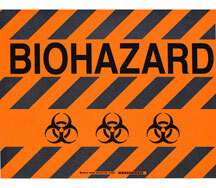 The decision to utilize a cathartic in a poisoning situation should be made by a qualified medical professional only. There are other ways of reducing the absorption of toxic materials in the body; see the additional terms at the bottom of this page and Further Reading below. As a symptom of exposure, usually through ingestion of the material. 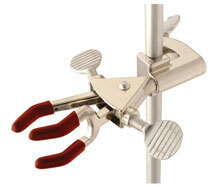 Hold on to your reaction with laboratory clamps and accessories from Safety Emporium. American Association of Poison Control Centers or, in an emergency, call (800) 222-1222. Family Practice Notebook has concise entries on Cathartics, Osmotic Laxatives and more with a particular emphasis on their use and contraindications (i.e. when not to use) them in emergency medicine. Google Books has an excerpt from Comprehensive Review in Toxicology for Emergency Clinicians that discusses cathartics and other methods of preventing absorption of toxins. Toxic Trivia has a question that includes phenolphthalein. The Annals of Emergency Medicine discusses Clinical Policy for the Initial Approach to Patients Presenting With Acute Toxic Ingestion or Dermal or Inhalation Exposure in Volume 33, Number 6, June 1999. The conclusions generally favor activated charcoal over cathartics. A subscription is required unless you access it from an school, library etc. that has a site license. See also: activated charcoal, antidote, emesis, gastric, poison. Entry last updated: Saturday, February 17, 2018. This page is copyright 2000-2019 by ILPI. Unauthorized duplication or posting on other web sites is expressly prohibited. Send suggestions, comments, and new entry desires (include the URL if applicable) to us by email.